As seasons of The Walking Dead go, Season 8 hasn’t been the most heartbreaking. Sure, it’s had some tear-jerking moments, but ultimately, it’s been about building momentum for the big battle against the Saviors — with surprisingly few casualties. However, the fall finale just changed that up by killing off one of the show’s core characters. Well, to be accurate, they haven’t killed the character off yet. Now, let’s talk about Carl (played by Chandler Riggs). After eight seasons of “will they or won’t they” relating to the fate of Rick’s firstborn, TWD finally pulled the trigger. Or, as it were, the walker. 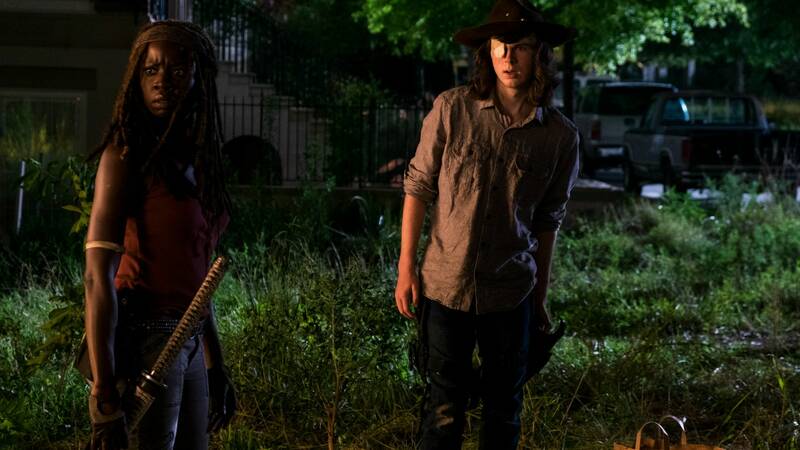 In a shocking twist in the final few minutes of this week’s fall finale, it is revealed that Carl has suffered a bite from a walker — on his side of all places, making it impossible to excise. It’s a heartbreaking moment for Rick, obviously, but also for fans who’ve watched Carl grow up before our eyes. What makes this arc particularly interesting is the fact that it marks perhaps the most shocking deviation from the comic series. In the latter, Carl is alive and well. In fact, his role is central to the story. But when Carl started waxing poetic at the start of the fall finale about finding a way forward for everyone (Saviors included), that foreboding feeling started to set in. Characters who serve as a moral compass never fare well on the show. And midway through the episode, when Carl tells Negan to kill him if someone must die — that he is ready and willing to sacrifice himself for the greater good — you half expected Negan to whip out a gun and shoot Carl before he even finished his speech. That would somehow have seemed less tragic than what would soon be revealed, though. Carl had saved the life of the drifter, and in doing so basically sacrificed his own. It was such a noble turn for the young Grimes, and one that was in keeping with his character’s overall arc. So what happens now? If you’re hoping for some Hail Mary pass that can save Carl from impending death, well, don’t. Host Chris Hardwick further revealed that Riggs, who plays Carl, will appear on The Talking Dead after said premiere. Make of that what you will given that actors from the show always appear on The Talking Dead after the episode of their death. Whenever the death plays out, it will surely be a sad day in TWD-ville. Carl’s evolution, especially in the last two seasons, has given fans plenty of reasons to root for the one-eyed kid. And even though it certainly looks as though he’s about to be written off, his death will likely steer the duration of the series.